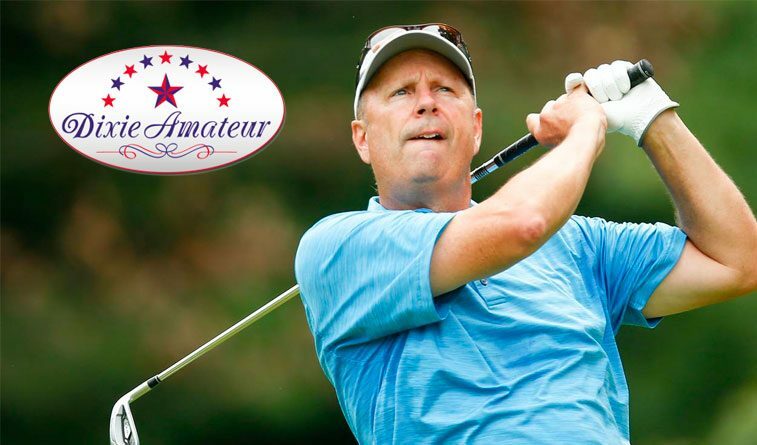 Mike Hughett of Owasso shares the first round lead in the Dixie Amateur, a national senior amateur event held at Eagle Trace Golf Club in Coral Springs, Fla., previously the site of the Honda Classic on the PGA Tour. Hughett shot 74 on a chilly and blustery day to share the lead with Doug Hanzel of Savannah, Ga., while three others are two shots behind at 76. The 54-hole tournament continues today and concludes Thursday. Hanzel is the defending champion and one of the top ranked senior amateurs in the country, a three-time Senior Player of the Year as awarded by AmateurGolf.com. Hughett, who has won 21 Oklahoma State Golf Association championship, most in association history, retired in 2018 from his job as chief financial officer at Nordam and plans to play in more national events in 2019 and beyond.